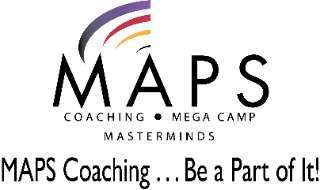 The SE region is delighted to recommend Kevin Kaley to be a MAPS coach. He has been a tremendous help to this region, his market center, and any agent who needs help. His nature is to help people in any and every way. Kevin was our regional Cultural Icon for 2006, so he will always promote the culture of the company as well as the business aspect in his coaching. We are so proud to be in business with him and know he will be an asset to the coaching staff. Kevin has always displayed a high degree of integrity, responsibility, and leadership. He has always been willing to share his knowledge with others either casually, one on one, or in a classroom setting. He is also a most dependable team player. He was the first Agent I spoke to and recruited into my first office, Sugarloaf. He was not only instrumental in the launch and growth of that office, but was also the first agent into my second Atlanta Partners office, Snellville. The success of those two Market Centers is due in no small part to Kevin’s influence. I met Kevin as a former Broker; I was one of his agents at another company. He was the first in that company to open a branch office. I joined with him for many of the same reasons people come to KW – the Culture. He has always exemplified the WI4C2TS, whether we called it that or not. He has been a leader since we opened the Snellville office. He was in the Core Group, has served in every ALC term, been our RALC representative every year, has been nominated for SE Region IALC Representative twice, and was the first Cultural Icon for the SE Region. From and educational standpoint, he leads our office in training. 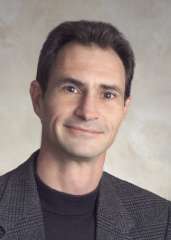 He has taught every month for 3 years – sometimes more than one class a month, and sometimes multi-day classes. He frequently attends training classes not for his implementation, but so he can train others. Also, he was the first, and only, KW agent to arrange for Top Producer to do a “Train the Trainer” course for KW associates. I really enjoyed your class this past week. I thought it was one of the most useful classes I have attended in terms of “take aways” that you could put to work immediately. Despite the fact I've used Top Producer for years, I learned a TON from you a few weeks ago. As a result, Victoria and I will be implementing a few more systems! The class also reinforced what I already knew, (or THOUGHT I knew)!